Free 3-Month Trial of Sirius or XM All Access package with over 150 channels, including commercial-free music plus sports, news, talk and entertainment in the car, plus access on smartphone, tablet and computer* - Over $70 value! 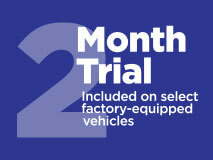 Upon receipt of the inventory record, each eligible vehicle will automatically be set up with SiriusXM Demo Service. Scan the VIN using the Improved Dealer App and turn SiriusXM on. See more Radio Activation details here. * All eligible vehicles equipped with factory-installed satellite radio will receive a complimentary 3-Month Trial of the Sirius or XM All Access programming package (a $19.99 monthly value) PLUS complimentary activation ($15 value). Surprise and delight your eligible customers after their service visit with a free 2-Month Trial of Sirius or XM All Access package with over 150 channels, including commercial-free music plus sports, news, talk and entertainment in the car, plus access on smartphone, tablet and computer* - Over $50 value! * SiriusXM Service Lane Program currently offers a complimentary 2-Month Trial (a $19.99 monthly value) plus complimentary activation ($15 value) of the Sirius or XM All Access programming package to qualifying customers with factory-installed satellite radio. 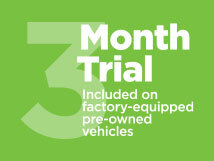 Non-qualifying vehicles include those with active or recently active SiriusXM Satellite Radio service subscriptions or trials. Service Lane complimentary trial terms of service subject to change. Must be enrolled in the SiriusXM Pre-Owned Program to participate in the Service Lane Program. Details: If your customer decides to continue service after their trial, the subscription plan they choose will automatically renew thereafter and they will be charged according to their chosen payment method at then-current rates. Fees and taxes apply. To cancel they must call us at 1-866-635-2349. See our Customer Agreement for complete terms at www.siriusxmdealerprograms.com | www.siriusxm.com. All fees and programming subject to change. 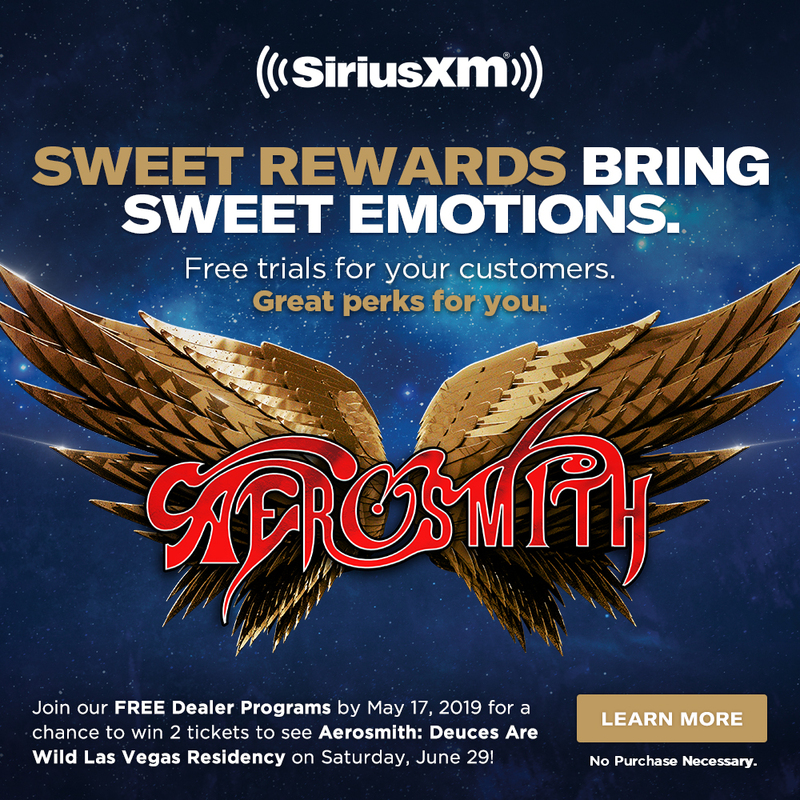 * DETAILS: SiriusXM Music for Business service shall be made available to Dealer solely to the extent that Dealer is actively participating in each of the SiriusXM Pre-Owned Program (enrolled in separately), Service Lane Program (enrolled in separately), and Customer Assurance. Dealer shall use the SiriusXM Music for Business service in its showrooms and/or service areas and may not sell or transfer such beneﬁt to any third party; Dealer shall not provide its log-in credentials for streaming Music for Business for use by anyone other than Dealer. Dealership Beats subscription to SiriusXM Music for Business is free (a $300/yr. savings) and will renew annually thereafter, for as long as Dealer participates in all available and applicable SiriusXM Dealership Programs. See the SiriusXM Customer Agreement for Business Establishment Services at www.siriusxm.com/siriusxmforbusiness. SiriusXM may modify or terminate, in whole or in part, the Dealership Beats benefit at any time in its sole discretion without notice. SiriusXM’s discontinuance of the Dealership Beats beneﬁt shall not automatically terminate Dealer’s participation in the SiriusXM Pre-Owned Program, Service Lane Program or Customer Assurance. See our Customer Agreement for complete terms at www.siriusxmdealerprograms.com | www.siriusxm.com. All fees and programming subject to change.